Wow! 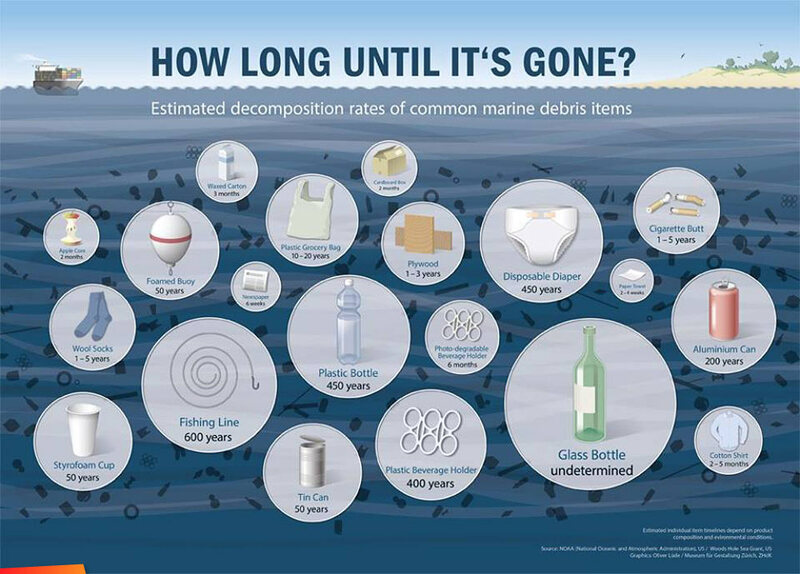 Check out this graphic showing estimated times for items to breakdown when they end up in the ocean (often happens, even when we put our garbage in a trash bag). When we grab a quick bottle of water while on the run, we typically think of it as a temporary thing. But if that bottle doesn't make it to the recycling plant, it's likely to be on Earth for the next 450 years! Each of us is responsible to leaving the Earth clean for future generations. Reduce, Reuse, Recycle!